Flash! Friday # 17 — WINNERS! A tower in ruins. A graveyard. Floodlights and extension cords. What about this marvelous photo isn’t a story?? Once again you all showed up in full force, imaginations and spectacular writing skillz bursting all over the place. Thanks so much to regulars and newbies alike–it’s a blast having you. Judge Maggie Duncan says, This was a great exercise in my evaluative skills because there was a lot of diversity in subjects and several of the stories were just what I love reading. It’s always great fun to see what the prompt engenders, and this one was particularly prolific! I enjoy reading all the different takes on the same picture. The judging was, as always, challenging, fun, and edifying, and the stories were a joy to read. And a good time was had by all, I hope! The Imaginator (for “To the Death,” A very original take on the prompt); Emma M. (for “Adventure,” Good set-up; nicely done); Natalie Bowers (for “Casualties of War,” Excellent characterization; tightly written & well-executed). David Hartley, for “St. Joseph’s.” I liked the image of a lone priest scurrying around, trying to fulfill his obligations to mother church and his parishioners before the end comes. A lot of good imagery here. Jeffrey Hollar for “Career Setbacks.” A nice glimpse into a dark future. Loved the name “Scourge.” I could just imagine how he got that name. Technically a good piece of sci-fi with a nice, almost comedic twist at the end. “Pilgrimage” grabbed me from the beginning and held me throughout. Beautiful, lyrical language conveyed hopelessness and dismay then hope and joy. Great little story that left me wanting more! Congratulations, Whitney! Here are your Winner’s Page, your eBadge (below), and your winning Tale. Please contact me asap with your email address so I can interview you for Wednesday’s “Sixty Seconds” feature. Their mecca, their hub, their heart. Only left—debris. The spires that once rose meant to represent their chance at independence. The clerestories, their flight to heaven. The buttresses, their wings. 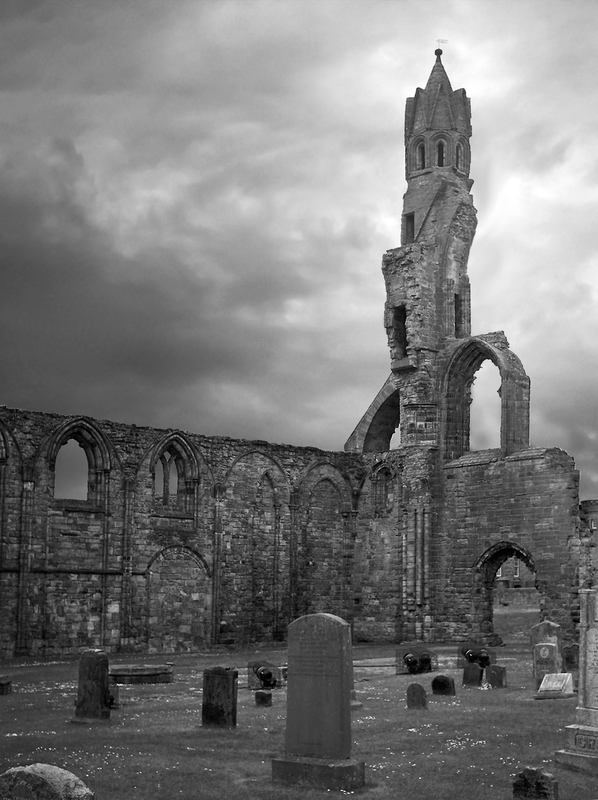 And now, as I kneel on the moss above the bones of my ancestors, I wonder: was it worth it? Was it worth the struggle, the gore, the lives, the cut-throat politics and deeds? What my predecessors thought was an innocent crusade became their elimination. And as I think these things—I wonder—can any crusade be clean? They were fighting for their homes, their freedom, their families, their life, blood, and breath. Bodies piled up in crowds—most are buried on the other side of the now-closed archway in secluded mass grave. Fighting was what they thought was right. Perhaps they knew more than I know today. Perhaps I should learn from them. Perhaps I already have. …Because when I ask myself again, “Was it worth it?”, I see the phantoms of my forefathers load, aim, and fire. Eyes ready: proud. They knew that reward can come from rebellion. This contest is now closed to entries–but is always open to comments/feedback. Go nuts encouraging each other! Thanks to everyone for coming out to play on this Good Friday. The decision by judge Maggie Duncan will be posted tomorrow (Saturday). Welcome to Flash! 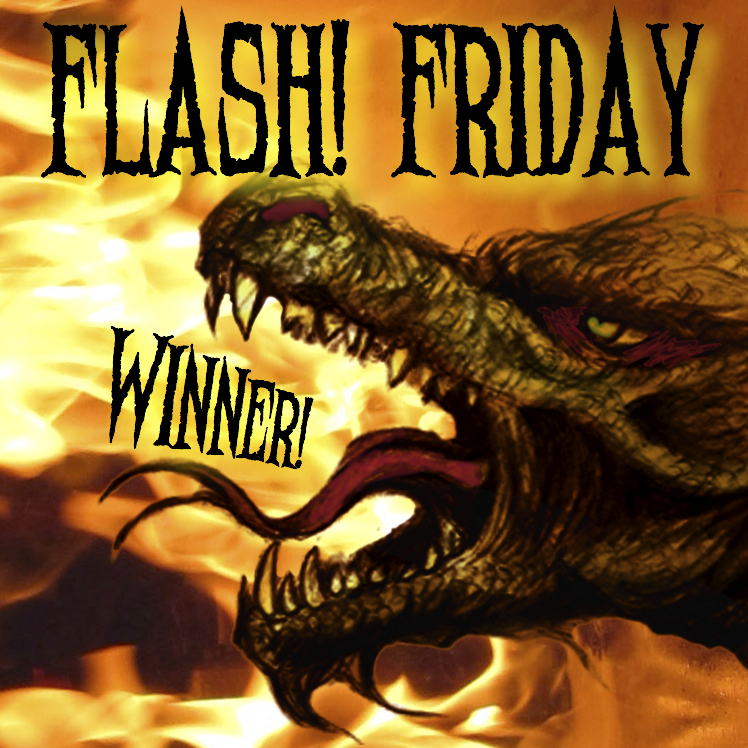 Friday (#FlashFridayFic) Round 17, oh wondrous dragonlings! (Crave contest rules?) Our photo is inspired by today’s celebration of Good Friday, as Christians all over the world mark the sacrifice of the ultimate Innocent. Round 17’s judgeworkery is provided by our exceedingly excellent SVW member Maggie Duncan, who has looked previous Flash! Friday contests in the eye yet lived to see another day. And now it’s time for today’s contest. * Word limit: 200-word story (10 words’ grace) based on the photo prompt. * How: Post your story here in the comments. Include your word count (190- 210 words, exclusive of title) and Twitter handle if you’ve got one. * Prize: An proudly dragonish e-trophy badge, your own super duper winner’s page here at FF, a 60-second interview feature next Wednesday, and YOUR NAME SHOUTED FROM THE ROOFTOPS OF THE WORLD (or at least as many as we can manage, metaphorically*). NOTE: Winning and non-winning stories alike remain eligible for selection for Monday’s Flash Points. And now: WRITE, oh clever ones, WRITE! * Though I might actually do this, myself, just because I love you. Our newest Flash! Friday winner is Kasey Leavitt. Read her story here, then take one minute to get to know her better. 1) What about the prompt inspired you to write your winning piece? The intensity and sadness on his face. He seemed to be waiting for something. 2) How long have you been writing flash? About five weeks. I did one contest before Flash! Friday, so that makes a grand total of six flash pieces. 3) What do you like about flash? I tend toward verbose, and I love the challenge of writing a complete story in only a few hundred words. 4) What flash advice would you give other writers? Don’t assume you can’t do it or won’t enjoy it. I was skeptical, but now I am hooked. 5) Who is a writer we should follow, and why? Any one of the truly talented people participating in this competition. Can’t wait to see where their careers go. 7) What other forms do you write (novels, poetry, articles, etc)? Novels, short stories, poetry. 8) What is/are your favorite genre(s) to write, and why? Magical realism because I love how the supernatural trespasses on the ordinary world and everyone is better off for it. 9) Tell us about a WIP. Revising a short story about a man who was erroneously convicted of murdering his wife. No magic. No justice. 10) How do you feel about dragons? Love them, especially because they will forever remind me of my son at this age (4.5). He’s started collecting them.